In today’s average school curriculum, a number of important subjects that our children could benefit greatly from are unrepresented or completely omitted. So, why should we teach our children about business? Here are five reasons. They will benefit from understanding business. If you think about it from your own perspective, you’re likely someone who was taught general business concepts at some point in your life or who wasn’t. If you were, you likely can see how that has benefited you through any endeavor you’ve undertaken in your life. If not, you can probably see how knowing a thing or two about business would have helped you. 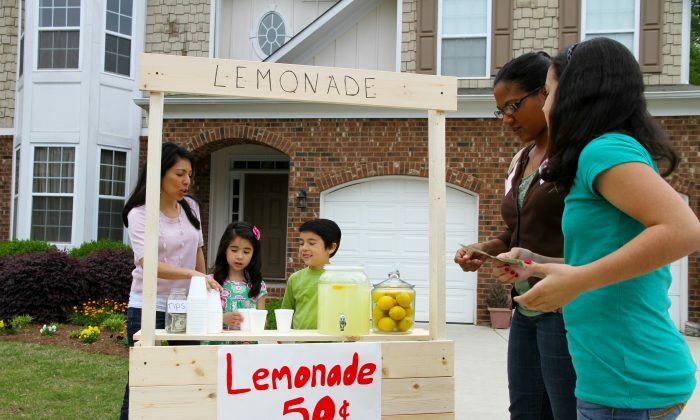 Any venture into business, whether by doing chores, mowing the neighbor’s lawn, setting up a lemonade stand, babysitting, helping Mom or Dad at work, or starting up their own company, will quickly teach your children the important lesson that it is work that creates reward. In the real world, as we all know, market forces dictate failure or success and hard work and talent matter. A study of business can help develop in children a strong work ethic and an understanding of their strengths. Whether you’re talking about leadership, strategy, marketing, finance, or another aspect of business, it all calls for creativity. The study of these concepts can be eye opening for children. What’s more, the joy of actually delving into a venture and offering it to potential customers exercises skills like problem-solving, ingenuity, flexibility, and resourcefulness. Putting ideas into action teaches many facets of creativity. Giving your children the go ahead on their ideas will provide lessons that will last a lifetime. A basic understanding of how business works can begin to show our children that they can make a great life for themselves with hard work and persistence. This is inspiring and offers a positive outlook on life. By starting this dialogue early, they may dream up and test a whole host of ideas before even graduating high school. This can help them hone in on their interests and have a good sense of what they would like to study in college, for example, or show them they may not want to go to college at all, but follow another path. Anyone with a business of their own is in a unique position to impact the world around them. Whether they reach members of their immediate community or the world at large with their products or services. A business can touch the lives of others and do good in the world. Showing our children this potential offers them an option as they grow up and decide how to realize their greatest potential in life.